Call 864-491-5005 to schedule your first appointment. Come to your local Miracle-Ear® hearing aid center in Greenville, SC, for an astonishing choice of hearing aids. If the sounds in your life seem dull and it's hard to understand the words of songs on your home music system, a hearing test may be in order. Our hearing care specialist will be pleased to give you a free hearing test* to determine the nature and extent of any loss that has occurred. Miracle-Ear is America's most recognized brand of hearing aids because we've consistently brought forth innovative products for the hearing impaired and provided exceptional service. We strive to create hearing health care solutions that accommodate the needs, preferences, and lifestyles of all of our customers for over 70 years, and our catalog is filled with intriguing options. You can count on our hearing aid center to provide products that are substantially built with the most innovative technology available. Our new generation of hearing aids lives up to our reputation for excellence and is an inspired stroke of genius. Our marvelous GENIUS™ technology is a revolution in the hearing health care industry. It uses modern innovations to simulate binaural hearing, has Bluetooth®** connectivity to stream sound from wireless devices, and gives customers real-time control over the sound they receive with our new GENIUSlink application. These hearing aids have an adjustable noise cancellation feature, and the wearer can discreetly adjust the settings and direct his or her hearing with a simple tap on the smart phone. Users experience full, rich tones of customizable sound and improved voice recognition. All of our hearing packages come with up to three years of comprehensive aftercare and maintenance along with a warranty† against damage and loss. You can visit any of our more than 1300 affiliate hearing aid centers throughout America. Our location serves customers in Greenville and Mauldin. The path to better hearing begins with a hearing test, so come visit your local Miracle-Ear hearing aid center today. 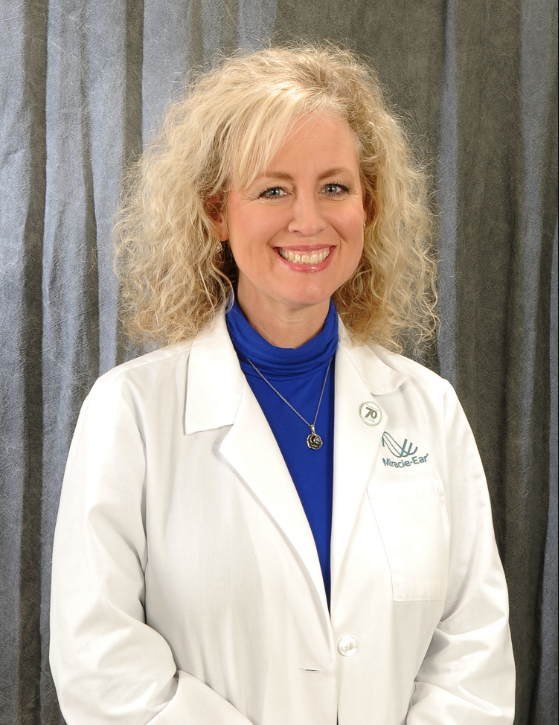 Judy O'Dell joined the Miracle-Ear family in May 2014 as a Patient Care Coordinator at the Regency Square office in Greenville, SC. Having been a South Carolina resident since 1986, the transition from Greenville to Easley was seamless. She enjoys meeting people and helping them with their hearing needs. 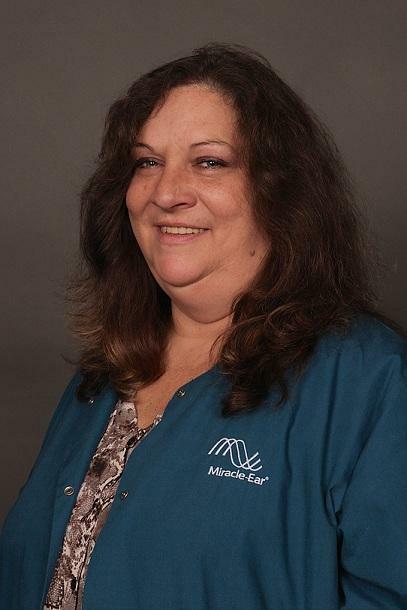 We are your local Miracle-Ear professional hearing aid center at Easley, SC, offering the best new Miracle-Ear hearing aids for those suffering from hearing loss. We offer a wide variety of hearing aids for every level of hearing loss, with aftercare* and warranty costs** already included with the price of the hearing aid. This approach helps our customers reduce the overall costs of compensating for their impaired hearing. So, whether you are interested in buying a hearing aid, or you need replacement batteries, or your existing Miracle-Ear Hearing Aids need repairs, or you want to learn more about the newest hearing aid technologies that are available, look no further than your local Miracle-Ear Hearing Aid Center in Easley. I am writing this letter as a review of our service with Trina Cox in the Greenville, SC Area. Due to the fact that we don't have a Google account etc…it can't do it online. Just to let the right persons know, Trina has been such a great blessing to our family. My Aunt, who was 96, and very hard to deal with, enjoyed her aids while she lived. She passed in Nov. of last year. Then my husband had also got his hearing aids with Trina several years ago and while he was deaf in his right ear, Trina has been instrumental in getting the correct aids to help him hear soooo much better. Playing golf now is a joy with his hearing aids. Then wind is not a factor anymore. He can actually hear me, his wife, while we are in the car traveling. Before all he could hear was the road noise on his left side. Now with the transfer aid we are able to talk to one another. My cousin also has gotten hearing aids from Trina and it has helped so much for her to be able to hear when we call and go to visit to help care for her. We can't say enough about Trina and Judy and their efforts to help her clients have a better way of living. It surely has made a difference in our family. When I need aids I will definitely see Trina.